14" Tall. 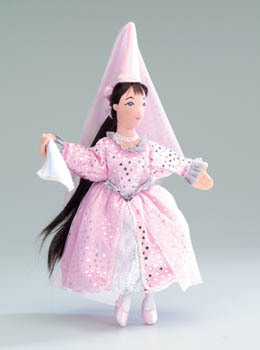 A central figure in many fairy tales, a princess has many roles to play. With this Princess on hand, you're ready to tackle dragons and evil spells. And, if the prince is not all you hoped, know that we all all toads and princes on the inside. Workable head and arms.